Enjoy a historic course along Spring Street, referred to as the Wall Street of the West! You’ll pass by such notable buildings as the Continental Building (LA’s first skyscraper) and more! What a great way to see the city without traffic! Can we say fast, fun and scenic? 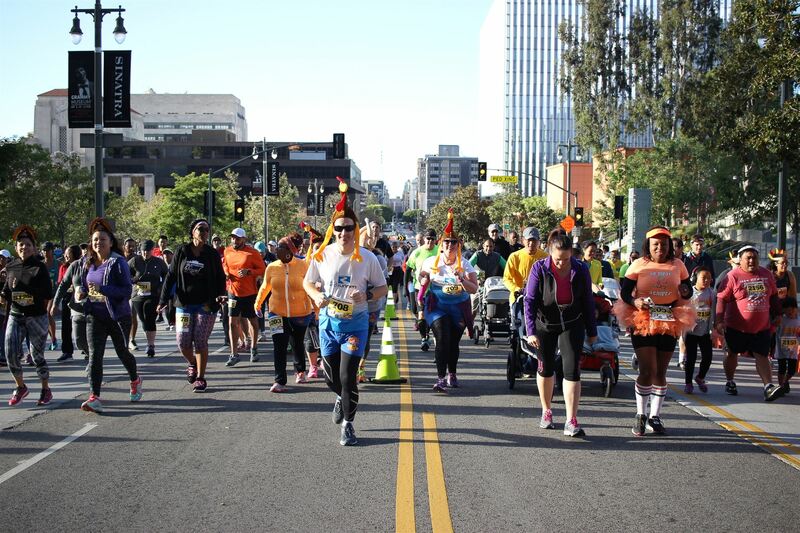 The race starts in front of City Hall and loops up and around Grand Park, past Disney Hall and Cathedral of Our Lady of the Angels. After a nice downhill, participants will be treated to a historic course along Spring Street, referred to as the Wall Street of the West! You’ll past by such notable buildings as the Contintental Building (LA’s first skyscraper), The Hellman Building, El Dorado Hotel, Crocker Bank and more. Runners do a U-Turn at 9th Street and then return to City Hall / Grand Park for the finish (there’s a small uphill near the finish)! Like doing 5ks and want to go longer? Then do the 10k. The course does portions of the 5k with added mileage on Grand Ave, Hope, and Lower Grand. You’ll get to see the new Broad Museum and other sides of Disney Hall and Dorothy Chandler Pavilion. The race starts in front of City Hall and loops up and around Grand Park, past Disney Hall and Cathedral of Our Lady of the Angels. After a nice downhill, participants will be treated to a historic course along Spring Street, referred to as the Wall Street of the West! You’ll past by such notable buildings as the Contintental Building (LA’s first skyscraper), The Hellman Building, El Dorado Hotel, Crocker Bank and more. Runners do a U-Turn at 9th Street and then return to City Hall / Grand Park for the finish (there’s a small uphill near the finish)!